Pumps completely in stainless steel AISI 316 with double-channel impeller. 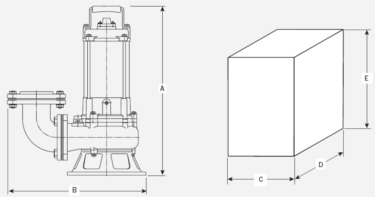 This kind of impeller grants a good free passage for the solid parts contained into the water but it gives also an higher flow and head than the "vortex" impeller. These pumps are suitable for aggressive sewage effluents, for acid or alkaline solutions and for salty water. These models are usually installed in industrial treatment plants when the sewage effluents are corrosive, aggressive, acid or alkaline or when sea water must be pumped as in the fishing industries. 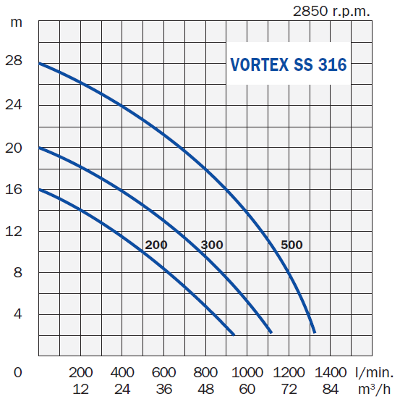 VORTEX SS 316 are particularly used also in biogas plants. These models cannot be used to pump water containing stones. Electric board Model F6-0.5/10-3 with a manual reset thermal protection to protect the motor of the pump and it permits the connection of a float-switch.